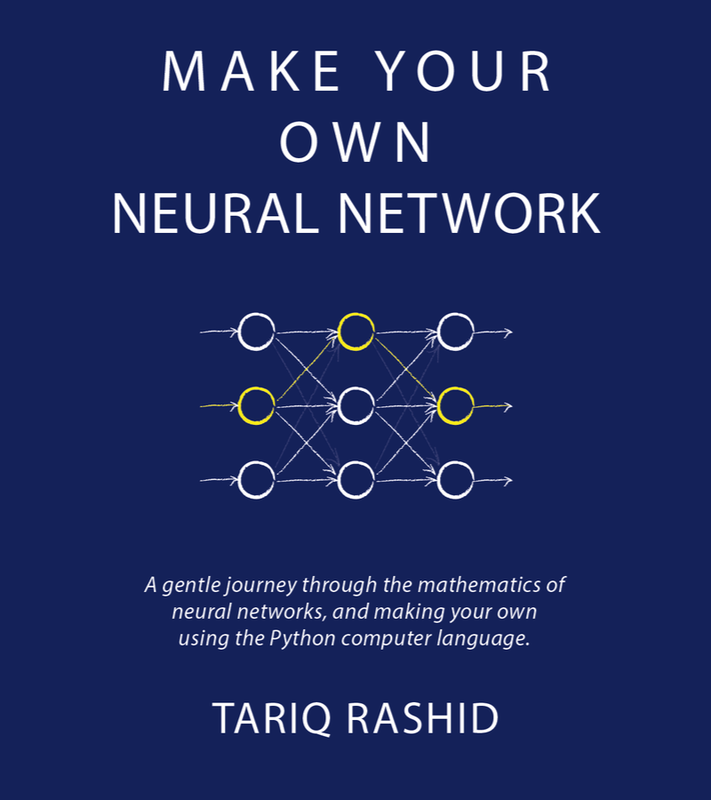 Make Your Own Neural Network: Welcome! Welcome to Make Your Own Neural Network! This blog will follow the development of my new ebook on neural networks, discuss interesting ideas and your feedback. My previous ebook Make Your Own Mandelbrot was a surprising success, and this ebook will follow the same core philosophy: to take a gentle journey through the mathematical concepts needed to understand neural networks, and also to introduce just enough Python to make your own. The critical thing for me is to be able to explain the ideas in a way that any teenager can understand - because I really believe too any other guides unnecessarily put people off with their terrible explanations and jargon. Why Activation Functions must be Non-Linear?